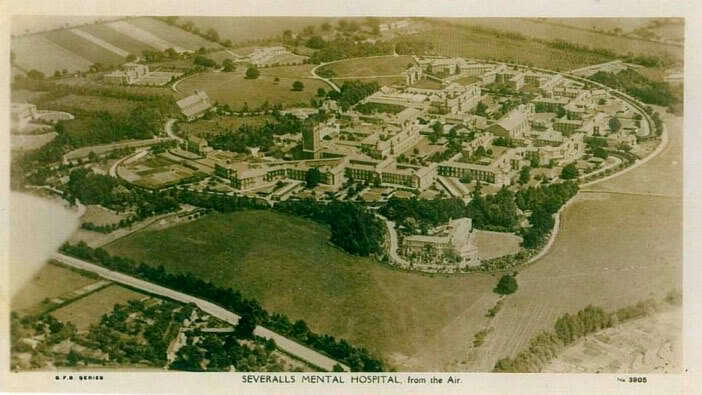 Severalls Hospital was the second Essex County Asylum (Severalls Hospital) – opening in 1913 to relieve pressure from the Warley Asylum; it was designed by F.Whithouse & W.H.Town and adopts the echelon layout. Severalls is an interesting site as it demonstrates the changing approach of asylum layout through the early part of the 20th century as it incorporates large ward style buildings typical of the echelon style yet has outlying villas typical of the colony style. The site was continually added to between 1910 and 1935, and this is reflected in the different styles present. 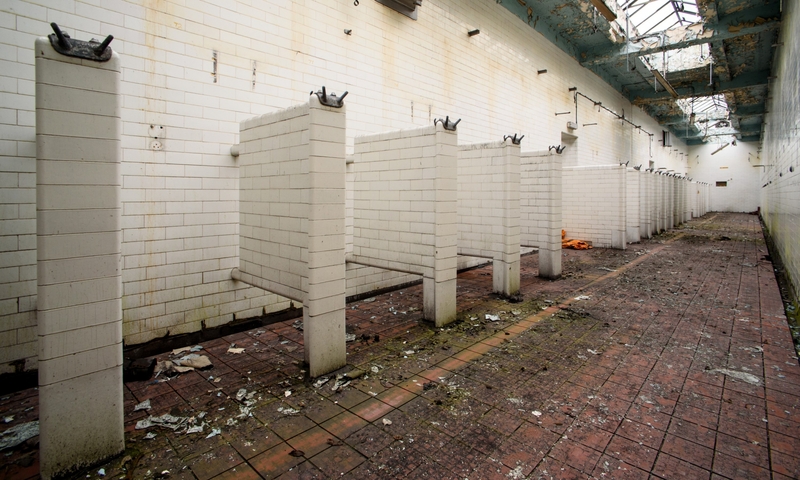 The asylum was situated on 300 acres of the Severalls estate, which was sold to the Essex County Council in 1904 and its doors were opened to patients in 1913; at its peak it housed over 1800 patients, both in main wards and the outlaying villas – there was also staff accommodation and academic buildings. Interestingly the chimney attached to the water tower was lowered by one third of its height during World War Two to prevent it being a hazard to crippled bombers landing at a nearby US airbase. One nurse, who worked at Severalls from 1936 remembers here memories of the corridors: “You know the corridors? There were lots of little ladies scrubbing the corridors. They would be scrubbing the corridors with sack aprons on their knees. Have they got windows in there now? well, there never used to be any windows. Open to the elements! And we’d come off duty and all you’d here was screaming – the bats would be coming up and down the corridors! Yes! They’d be flying up and down the corridors! When we came off duty we’d put our capes over our heads and we’d be screaming!” Taken from Madness in its place – Diana Gittins. The corridors were not fitted out with windows until 1950; a total of 234 were fitted; nurses were also known to have bicycled up and down the corridors because of their extreme length; in fact one violent patient had managed to get hold of a bicycle to have some fun until she was found, to which she did not resist being taken back to her bed! 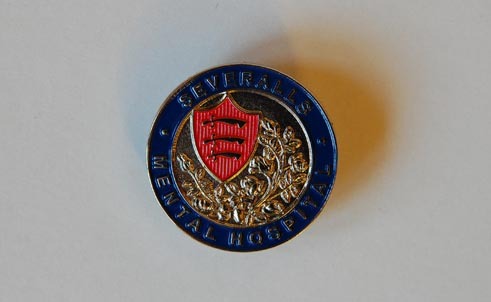 Severalls Hospital was also committed to cooperating with its surrounding hospitals; the 1960s saw the introduction of a new operating theatre to help alleviate the local waiting lists and in 1978 a medical ward was also opened which housed 28 patients. The increasing emphasis on rehabilitation and the move away from isolation meant that Severalls saw a significant decrease in permanent beds, from 1100 in 1977 to 726 in 1988; at this time smaller care homes had been setup around the Essex county, meaning that a large hospital was no longer needed. 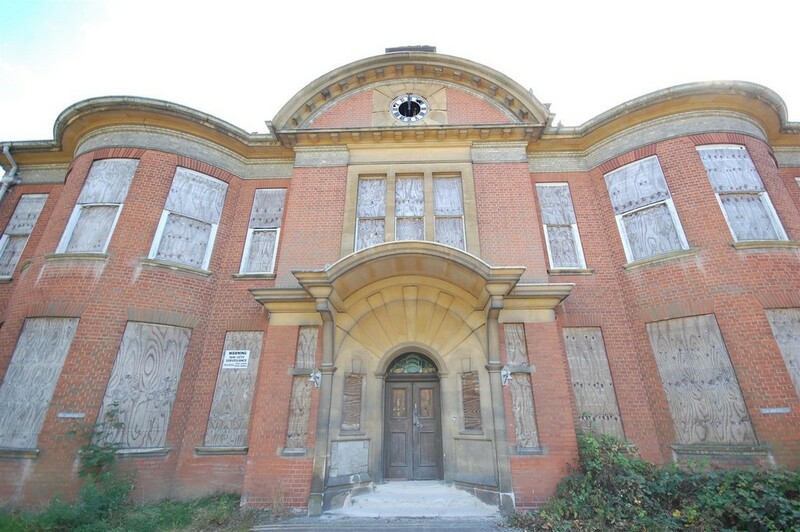 The hospital closed down in 1997 and has suffered from a number of arson attacks leading to the destruction of the main hall and the Superintendents house; in recent times an airing court shelter has been destroyed. The site is to be regenerated with the main administration building and a small section of the superb wards being restored and converted to residential housing as they are one of the few remaining original examples of the echelon layout; water tower and some outlying villas are also to be retained and reused. Details of the proposed plan can be found on the Colchester Council Website.